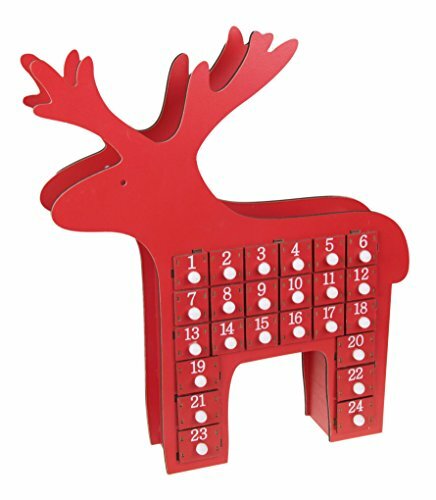 • Measuring 15" x 2.75" x 17.5", this reindeer advent calendar is sure to make a lovely addition to your home's decor. • Please note that for your own safety, and the safety of others, this product should never be near any open flame or heat source. GREAT HOLIDAY DESIGN: This Christmas advent calendar features a great red wooden reindeer design with drawers on the front. No matter what your decoration style, this advent calendar is sure to fit in perfectly!